The elevator the tipper is developed for collaboration with kneader SP of 250 M with retractable bowl. 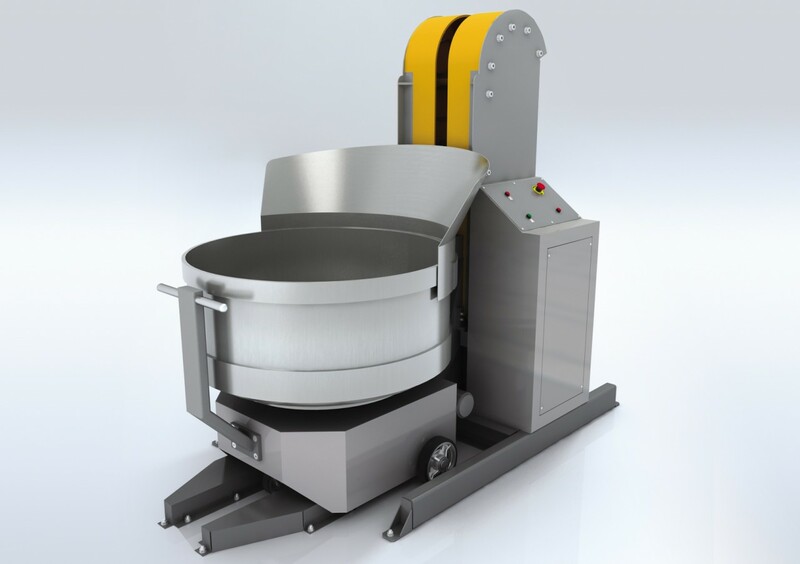 Allows safely, simply and easily to transport ready dough and to unload it in the reception bunker of the dough dividing machine. At the same time dough does not contact to hands of the person. The lifting mechanism works at a basis of the hydraulic drive. Thanks to a stationary basis the tipper is simply and safely transported.